Annka Kultys Gallery is pleased to present CACOTOPIA 02, a group exhibition of works by five recent and future graduates from some of Europe’s leading art schools. 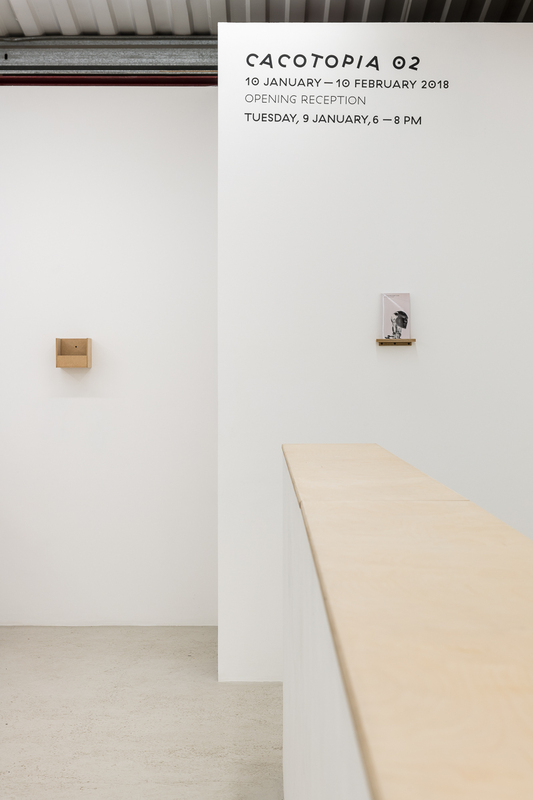 This second edition of the show, which follows the format established by the gallery’s successful first CACOTOPIA exhibition, will unfold over the course of five weeks with each artist presenting his or her work at the gallery in a solo show of one week’s duration. The artists featured in CACOTOPIA 02 are Yarli Allison (Slade), Bob Bicknell-Knight (Chelsea), Dominic Dispirito (Slade), Michal Plata (Goldsmiths) and Hugo Servanin (Ecole Nationale Supérieure des Arts Décoratifs, Paris). 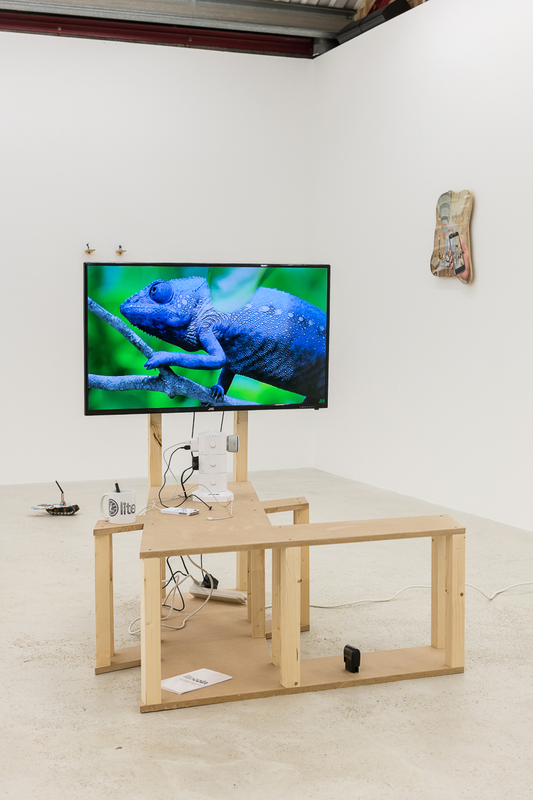 The works on display will explore, amongst other themes, contemporary perspectives on globalisation, social interaction, the internet and immortality. 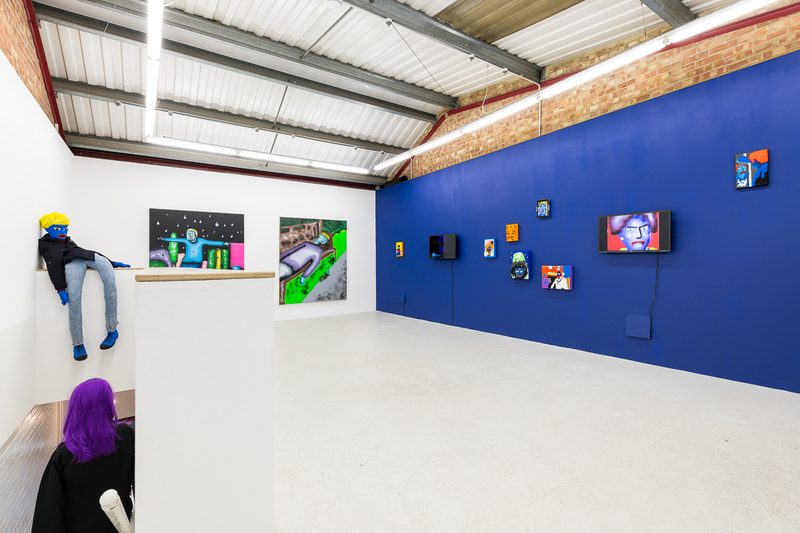 In addition to receiving the opportunity to show at the gallery, each exhibiting student will automatically be nominated for the inaugural Annka Kultys Award. The award recognises the artist that produces the most outstanding exhibition, as determined by the award’s jury, which will consider interest shown in the artist’s work, the number of gallery visitors it attracts and the number of likes it gets on Instagram, as part of its deliberations. The award includes a cash prize for the winning artist. The jury is made up of artists, art critics, curators and other art professionals. It is intended that Annka Kultys Award 2018 will include a broad range of competencies from the fields of art, and the jurors have been selected accordingly. For CACOTOPIA 02, the jury will be John Brennan, Cécile Emanuelle Borra, Alice Bucknell, Damian Griffiths and Sherman Sam. Yarli Allison (b. 1988, Ottawa, Canada) creates sculptures and videos that act as a panacea to the anxieties, insecurities and traumas inflicted by a hostile networked society. 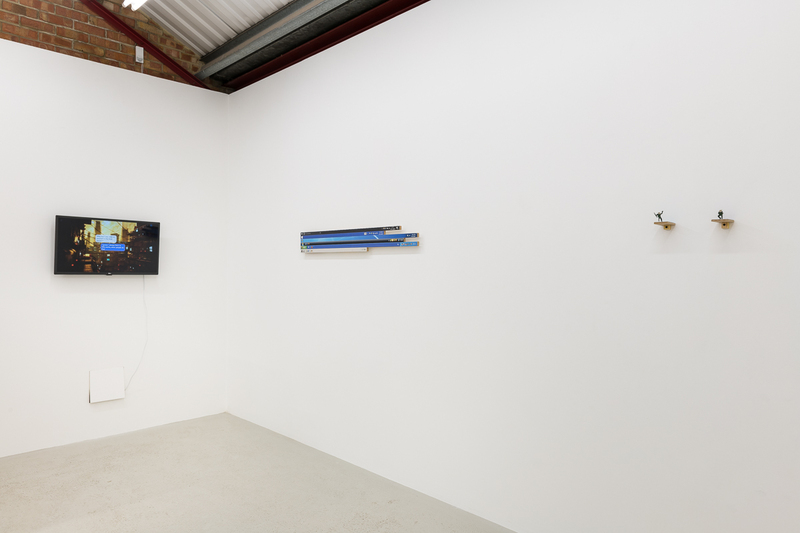 Wondering about the possibility of survival in everyday inhospitable landscapes, Allison draws on oriental and Chinese philosophy to create objects that can be seen as metaphorical disaster tools for crises of the psyche. Her specific coping strategies for these conditions offer playful methods for physical and emotional contingency in a world that seeks to segregate, eliminate and whitewash nonconformity. Yarli Allison will be on view from 10 – 13 January 2018. Michal Plata (b. 1985, Poland) works in video, sculpture and performance to critique the various ways in which the cultural hegemony of Western values permeate modern global society. 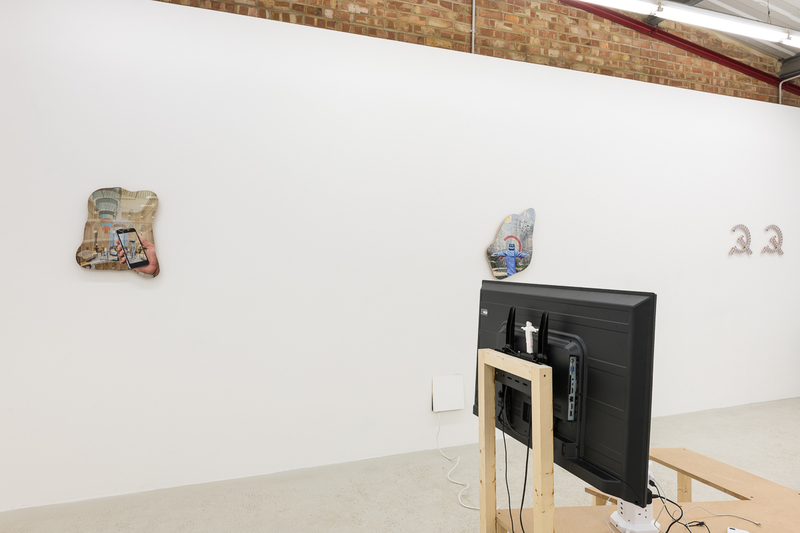 For his contribution to Cacotopia 02 at Annka Kultys Gallery, the artist will present a two-channel video installation, a custom-designed motorcycle outfit, and a live performance mimicking a sculpture/inanimate object. During the main act, the performer will sit motionlessly in the gallery. 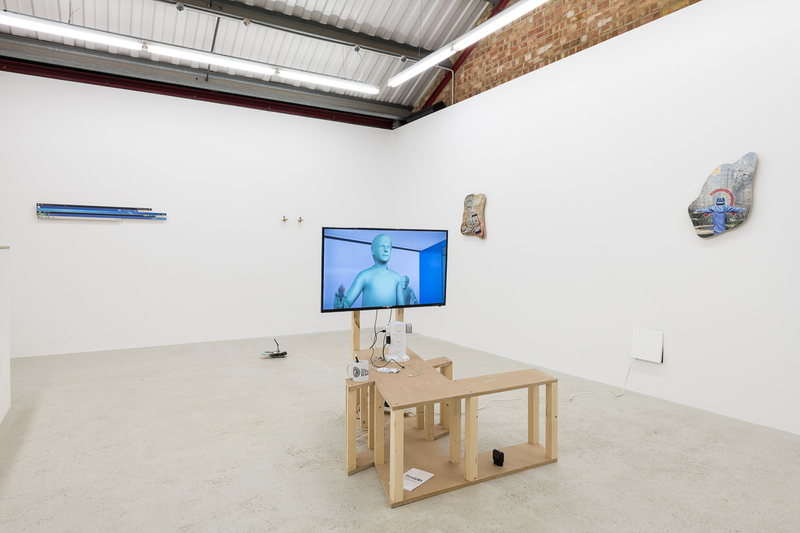 For the purposes of the performance, the viewer is meant to be left in doubt as to whether the figure is a mannequin or a human being occupying the space for as long as possible. 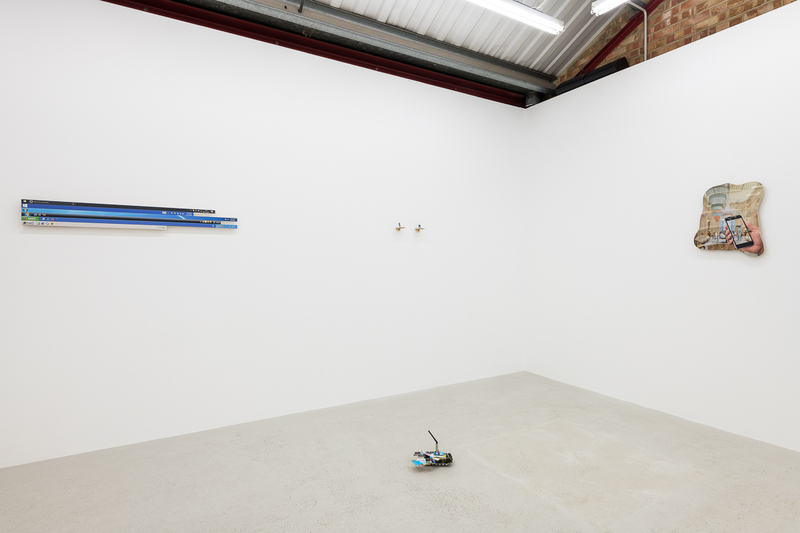 At times, and at random, the performer will move in, around, and outside of the gallery space. 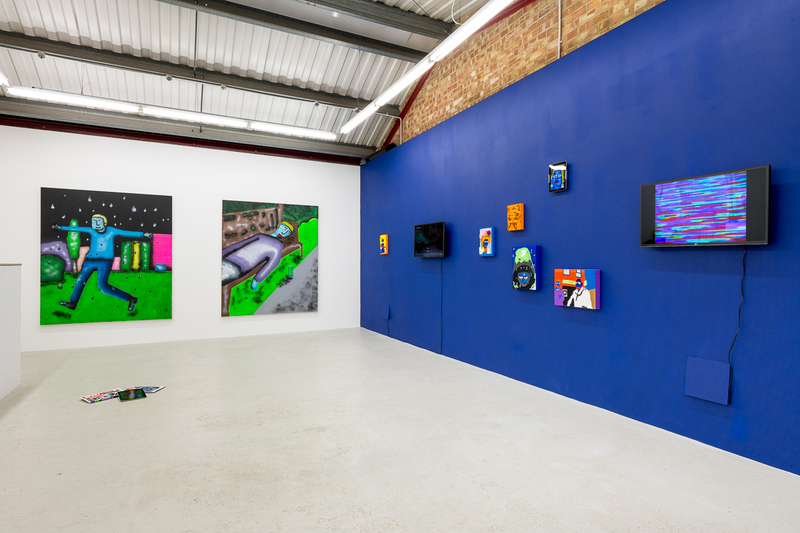 Opening up a discussion about modern masculinity and the different factors that go into constructing popular notions of masculinity, the show is also concerned with the products and architectures that facilitate these kinds of toxic and widespread identity constructions. Before embarking on his MFA at Goldsmith’s, Plata was a product designer at BMW. This influence can be seen in his sharp commentary on the pervasive impact of the marketing of design in the international marketplace. 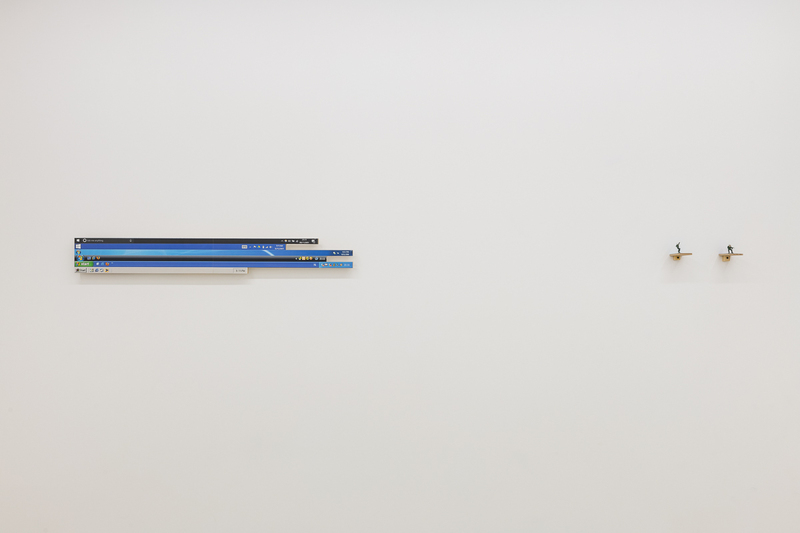 Michal Plata will be on view from 17 – 20 January 2018. Hugo Servanin (b. 1994, Toulouse, France) is a sculptor whose work seeks to manifest immortality in a media landscape saturated by ephemeral content. 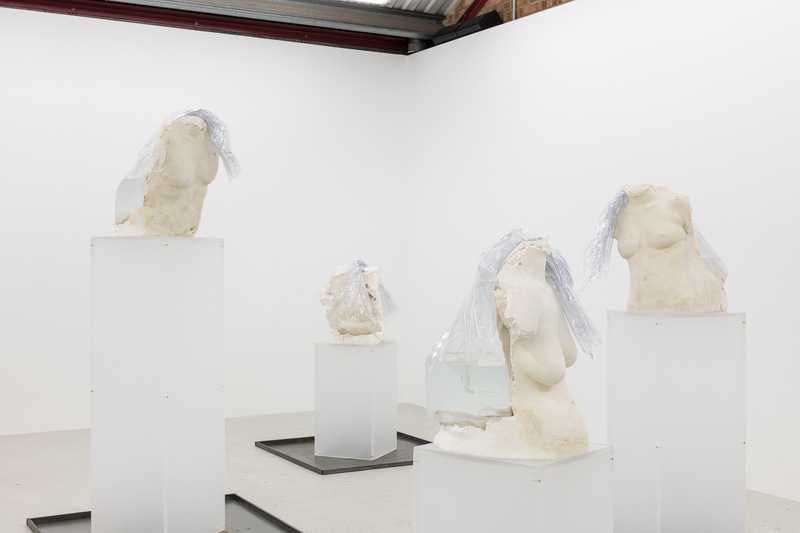 Beginning with plaster casts that reference classical sculpture and traditional ideals of the body, Servanin inserts plastic bags filled with water into each work. 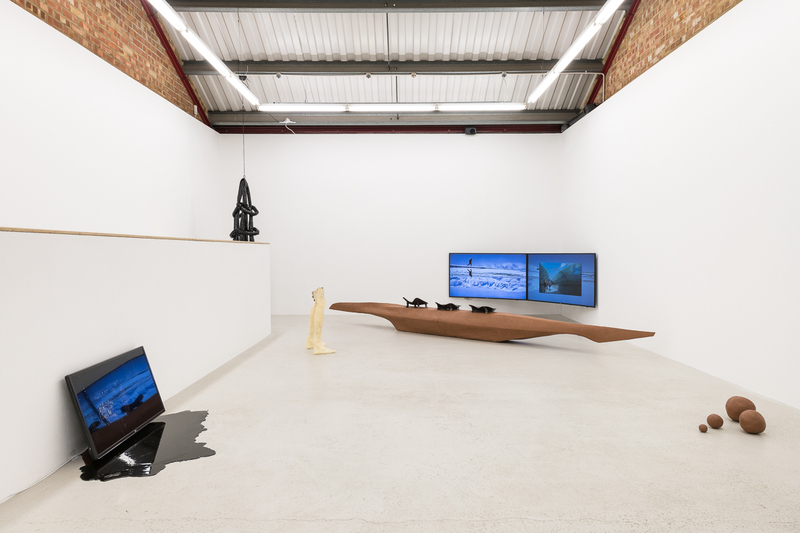 The effect of the water is to drip through the sculptures in the gallery, warping and degrading them in an imposed process of accelerated aging as the exhibition progresses. Once all of the water has passed through each sculpture, Servanin refills the bags with resin. In this way, each sculpture is immortalized: preserved eternally in a half-way state of disintegration. 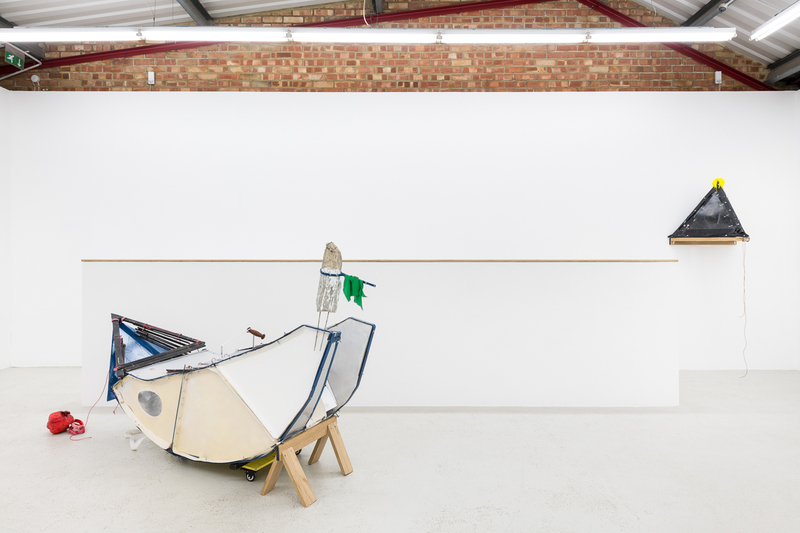 In a material social universe in which immediacy reigns supreme and relationships dictate the structure of the world, Servanin confronts the viewer with their contingent relationship with time. 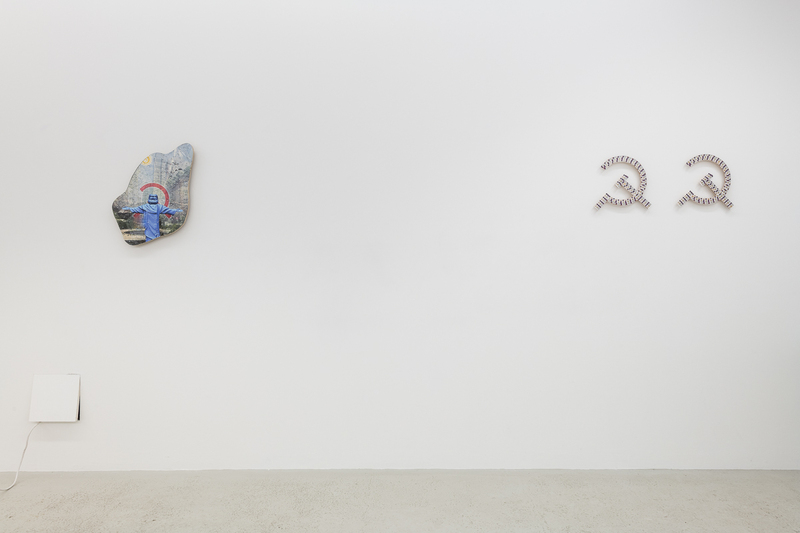 Hugo Servanin will be on view from 24 – 27 January 2018. Bob Bicknell-Knight (b. 1996, Suffolk, United Kingdom) is a London-based artist and curator working in installation, sculpture, video and digital media. 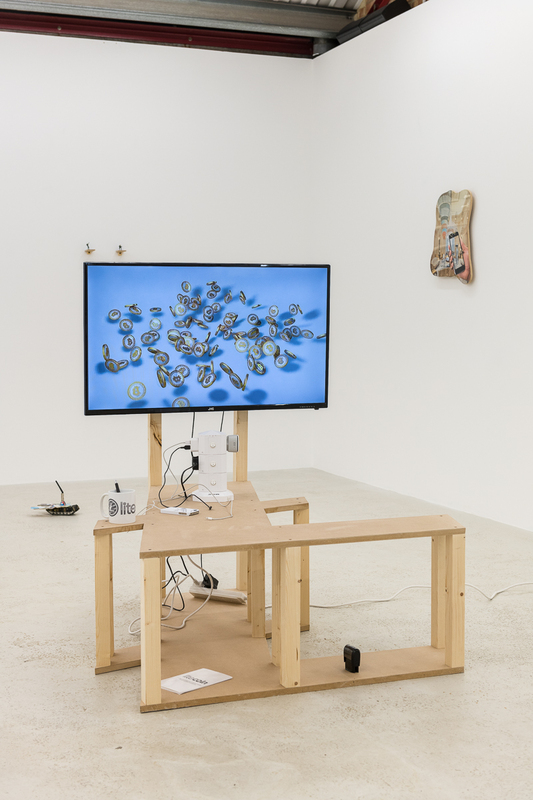 Using found objects and tools made readily available by the Internet, as well as drawing from a unique sensibility influenced by participation in online communities and virtual games, Bicknell-Knight’s work explores the divergent methods by which consumer capitalist culture permeates both online and offline society. 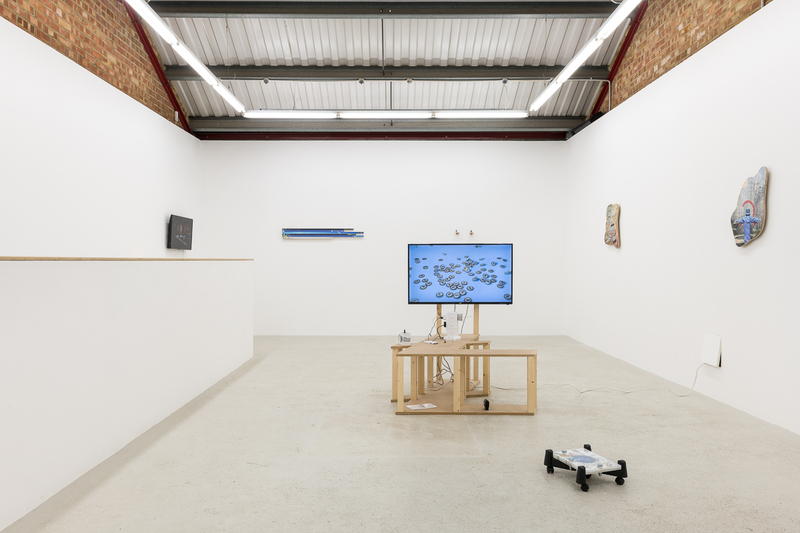 Utopian, dystopian, automation, surveillance and digitization of the self are some of the themes that arise through Bicknell-Knight’s critical examination of contemporary technologies. Bob Bicknell-Knight will be on view from 31 January – 3 February 2018. Dominic Dispirito (b. 1982, London, United Kingdom) is a painter, sculptor, and video artist. His recent body of work has predominantly been created on the iPhone, in the form of animations and digital studies which then he translates into acrylic on canvas or 3D printing pen on board. Employing funny, sad or even personal subjects and characters, rather than a generic body of work based on digitally-influenced techniques, Dispirito’s imagery concentrates on the figurative. By sketching a great deal of commonplace and colourful scenes with seemingly simplistic lines, Dispirito provides emotional depth to his cartoonish characters through their broad range of expressions. The vibrant hues and cartoonish features in Dispirito’s paintings, sculptures, and animations, which draw on his personal battles with drug and alcohol addiction, thinly veil the sinister undertones that pervade his work. Dispirito earned his B.F.A. in 2013 from Middlesex University, London and his M.F.A. in 2017 from the Slade School of Art, London. He joined Annka Kultys in 2017 and will have his inaugural solo exhibition, at the gallery in London in autumn 2018. Bob Bicknell-Knight will be on view from 7 February – 3 February 2018.